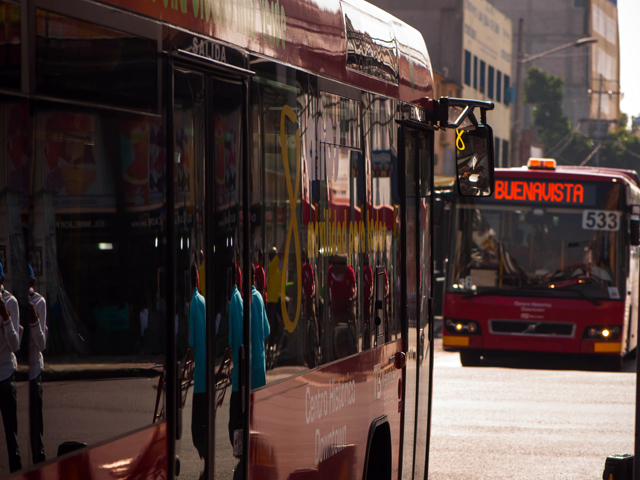 Metrobús, Mexico City’s bus rapid transit (BRT) system, began operations in 2005 and now serves 855,000 passengers every day. Line 4 (pictured) was launched in 2012 and currently serves 50,000 passengers daily. Photo by Taís Policanti/EMBARQ Mexico. This article was originally published on January 15, 2015 by the Thomson Reuters Foundation. 2015 provides three big opportunities for progress on this front. First, the United Nations Sustainable Development Goals (SDGs) – set to be finalised in September – are slated to include an explicit focus on reducing global poverty and inequality through cities, with a specific emphasis on urban mobility.